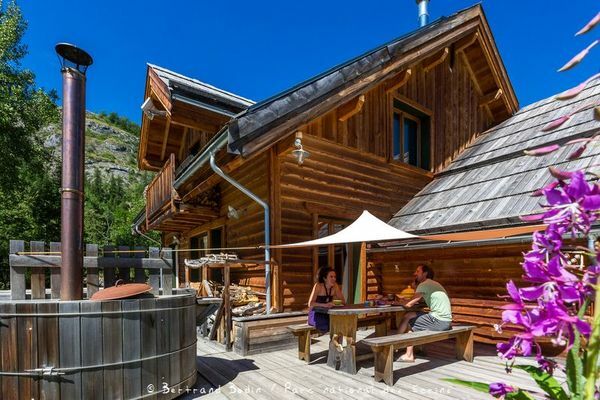 Au Fil de l’Onde chalet is located at the start of hiking routes (on the edge of the GR54) and mountaineering routes in the Écrins massif. Catherine is a mountain guide and welcomes you for a single night or a longer stay and can advise you on activities. 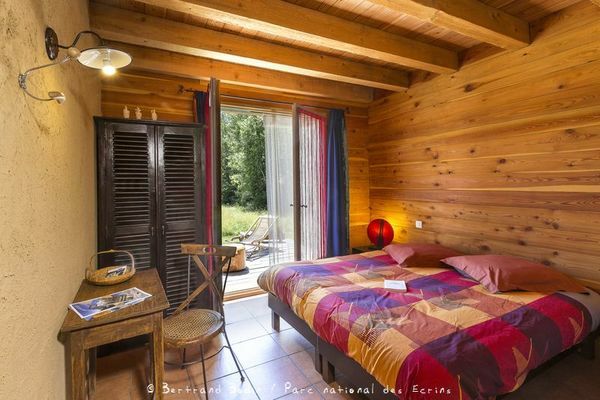 Accommodation is in a wooden eco-construction that respects the environment. We have three rooms with a double bed and two single beds (or four single beds), private bath room and direct access to the terrace. There is one room that is suitable for those with reduced mobility. A book collection telling stories of the valley is available, as well as guide books and maps of the routes and trails close by. By request, we can provide an evening meal made using local products that are mainly organic. Otherwise, the kitchen is available for you to use. It is possible to rent the entire chalet for 8-12 people on a self-catering basis. 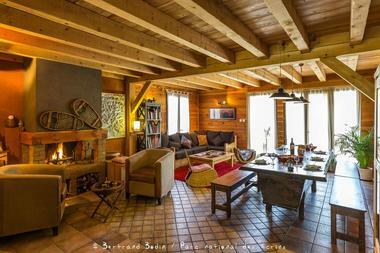 There is no review about Chalet Au Fil De L'onde, be the first to leave one ! Environment / Access : From the centre of Vallouise, or from l'Argentière, head towards Puy St Vincent, go past the Maison du Parc National des Écrins. 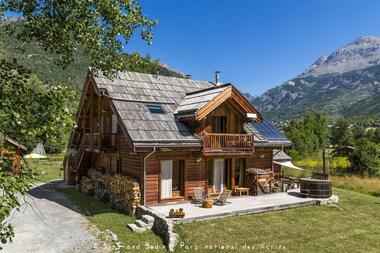 The gîte Au Fil de l'Onde is situated 200 m further, on the right.